I was curious about That Dragon, Cancer back when it first released on PC. I read up on it a bit, but not enough to spoil the whole experience. I knew it was made as a tribute by Ryan and Amy Green for their young son, Joel, who lost his four-year battle with cancer. I’m not actually afraid of a game offering a depressing, gut-wrenching experience. I appreciate when a work of art can truly get to me, affect me on a deep level. No, what kept me from playing was that I heard there were religious references that turned some people off and I was worried if I played it, I might roll my eyes instead of empathizing with Joel’s parents. That, and it was only available on PC, which I’m not too keen to playing on. Still, my curiosity never fully subsided. When an opportunity arose to play the game in a group setting, I jumped at it so I could get a taste of it and see if it’s something I needed to play. The group play wasn’t exactly what I expected — we passed around a controller so each person could play a section, or vignette. 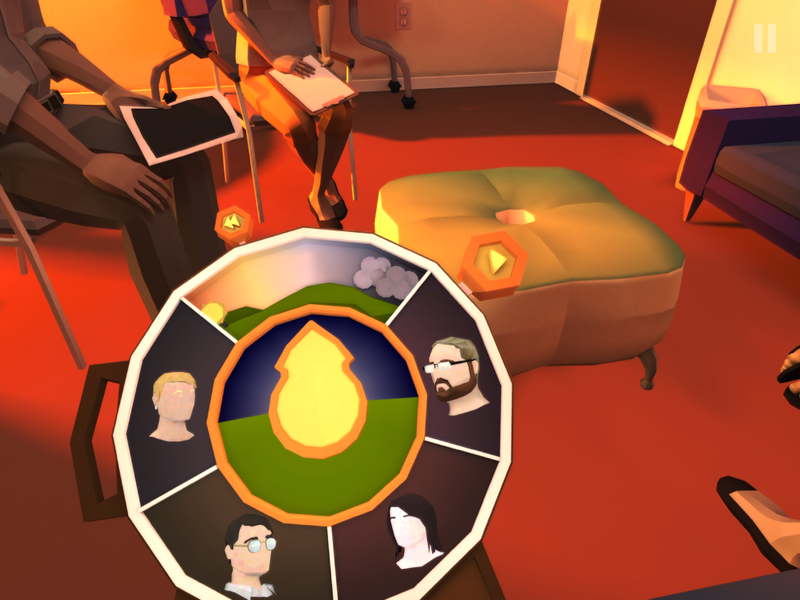 I found it incredibly awkward, even though That Dragon, Cancer is a narrative game with limited interactivity. It was hard to tell what exactly other people were doing during their parts, how much of it was the game playing itself. When I wanted to hear a phone message, the person playing would walk off in the middle and I wouldn’t get to hear it. One section I played involved the parents talking to the doctor as he tells them the chemotherapy didn’t work. It starts with you, as Joel, playing with a Farmer Says toy. Then it changes to control the different people in the room, so you can witness the experience from their points of view. But you don’t have unlimited time on this section, and I was fumbling a bit with the controller, since I’m not used to playing with one. But of everything I saw that day, that section stuck with me the most. I didn’t buy the game after that, as most of the experience did not give me a good feel for it. And I knew that the likelihood of me actually sitting down to my PC to play through it was very low. We also hadn’t gotten to the part about religion, so I couldn’t tell if that would bother me. The only part that really affected me at all by that point was the section I got rushed through. So no, I didn’t feel like I absolutely had to buy the game that second. So I forgot about it. But one thing I came away with was that it would be a perfect fit for touch screens. These are the kinds of games that shine on an iPad. Limited skill or interactivity that can be reduced to some taps and swipes and feel more natural than a controller or mouse. So when the game released on iOS this week at a fraction of the original price, I jumped on it. For the most part, the controls on iOS do their job. I played through it on my iPad and replayed some parts on my iPhone. The way they work is you swipe to control the camera and look around. Action icons appear on the screen for a brief moment before disappearing so they don’t distract you. But if you move the camera again, any icons reappear. The one you’ll see the most is the footprints icon, which, as you might guess, makes you walk to that spot. Then there’s a hand icon that allows you to interact with an item. There’s also one for examining something off to the side, and another one for exiting a scene. Sometimes you can interact in other ways, and it might not always be clear what does what. There’s one section that’s particularly confusing as to what the controls are. Tapping the same way often led to different results, making it hard to replicate them with any accuracy. 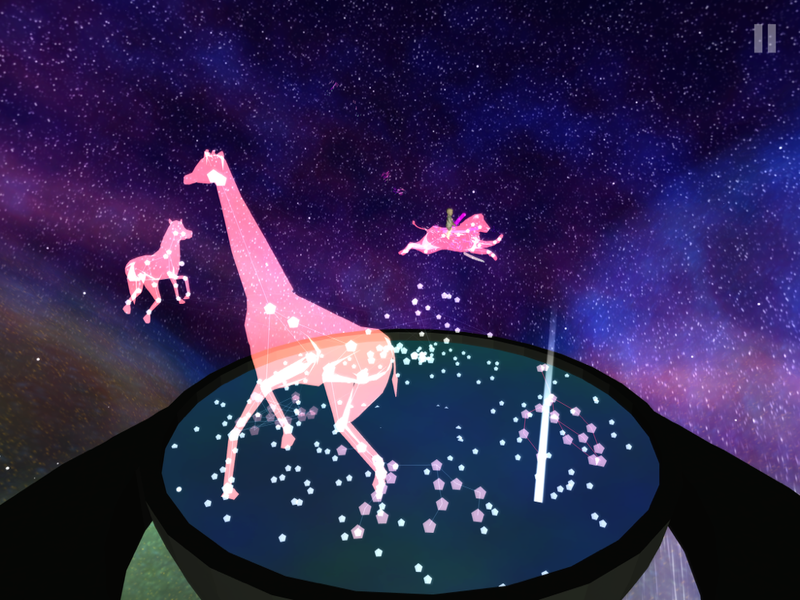 It’s a shame, because that’s a particularly charming vignette, where Joel is dreaming he’s riding on animals made of constellations, and you can even make the animals do flips. It’s a sweet and happy chapter, but frustration ruins it a bit. I hope they can figure out how to fix that in the future. It’s also unclear how to even end that part of the game and move on. I played it several times and it seems to be automatic but only after you’ve done specific, unclear actions. I’m not 100% sure. Either way, it was definitely the most frustrating part of the game, controls-wise. But since there’s no skill involved, it was just a minor nuisance. There were some other points where it took a few taps to get the game to respond, and even parts where there was an eye icon off to the side that wouldn’t respond at all. But even with these small niggles, I prefer the game on a touch screen over a mouse or controller. It feels much more intimate to me to have the game in my lap and interact directly with it. Also, even though the game has no iCloud, it doesn’t really need it. Instead, all chapters are unlocked from the beginning. It’s not the type of game you would play on-the-go anyway, but this way you can delete it at any time and not worry about losing your progress. You can also share a particularly moving part of the game with friends and family without having to sacrifice a permanent 4GB of space on your device. 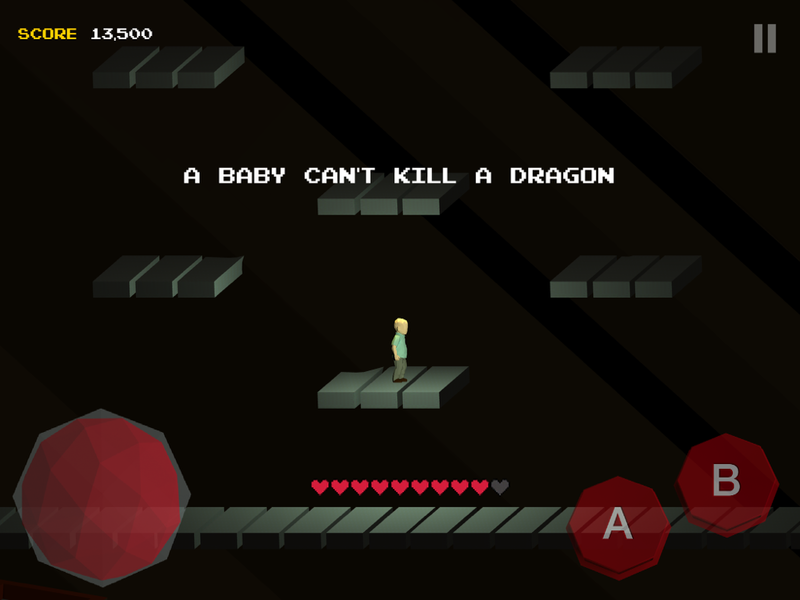 There’s also a more traditional video game in which Joel is a knight fighting his cancer in the form of an actual dragon. Religion is brought up here again, when Amy talks about Grace and the children start asking hard questions about God. Again, it seemed to be dealing with the topic in a complex and meaningful way and I wanted to see more. But unfortunately, it didn’t stay that complex to the end. Shortly after that is perhaps the hardest chapter of the game to sit through, emotionally. Joel is so sick he won’t stop crying. Listening to a sick child crying in pain is bad enough, but then you have the father frustrated at how powerless he feels, talking about catching his son’s vomit in his hands. I don’t have kids, but I’m really not sure there’s anyone out there who won’t feel a punch to the gut listening to a sick child crying. When I got through this chapter, I decided to take a break to brace myself for the ending, because I expected it to be utterly gut-wrenching after what I just witnessed. When I came back and finished the game, I finally understood what people were talking about. The ending, at least for me, was wholly unsatisfying. I lost that emotional connection to it, as all the religious doubts just drifted away and suddenly everyone was on the same page again. His death wasn’t really dealt with as maturely as his sickness. When I finished the game, I was just left staring blankly and emotionless. It’s hard to criticize a game that is basically a family’s tribute to their son and a way of telling their own story and coping with their loss. And yes, the whole game is full of fantastic imagery, so it’s not so far-fetched to have that kind of ending. But it didn’t feel deserved. The questions of faith never really got resolved. Maybe it’s selfish of me to expect mourning parents to settle that argument. But the game brought it up and I expected more from it at that point. For me, it just didn’t deliver on its promise. I was prepared for it to wreck me and it was the opposite. I felt nothing. All the mature ideas brought up earlier were tossed aside for a copout feel-good ending that didn’t seem earned. So yes, I did end up rolling my eyes as I feared I might. Perhaps others with more faith will find it rewarding and even comforting. Maybe that’s who it’s for. I don’t regret purchasing or playing the game. Parts of it were very emotional and did have a strong effect on me. I can’t say it’s for everyone, but if you’re willing to take a chance on it, I think it’s a lot more powerful to play yourself. So I don’t recommend simply watching other people play it if you think it’s something you want to experience. If touch screens are your usual choice for games, I suggest playing it on an iPad. It’s more intimate than a mouse or controller, in my opinion. Even with all my spoilers, I think there’s enough here that makes it worth playing as long as you’re open to this kind of interactive experience and don’t mind that it fizzles off at the end. 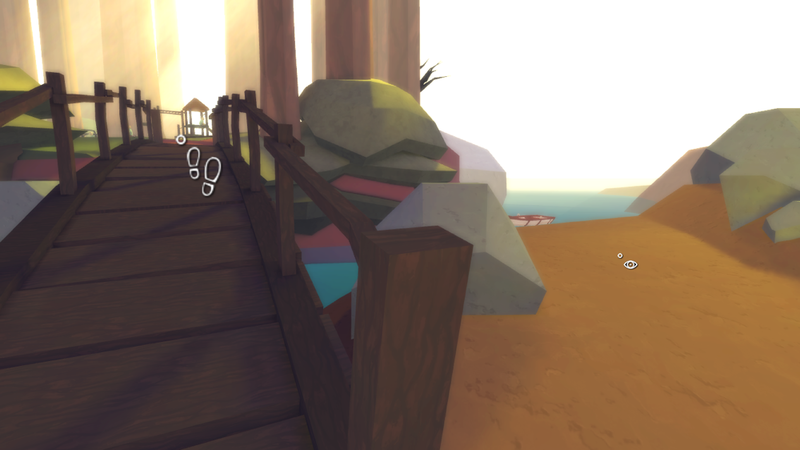 If you want to give it a try, you can download That Dragon, Cancer here.